When she was 13 years old, Roisin Donnelly hadn’t given much thought about a career in engineering. But then she attended WPI’s Camp Reach—the summer residential program for girls who have an interest in learning more about science and engineering careers—and everything changed. 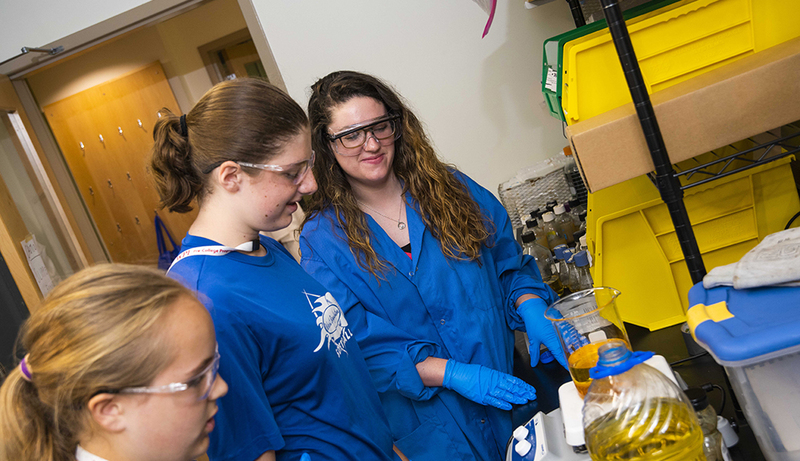 That interest brought Donnelly back to WPI this summer for a 10-week Research Experience for Undergraduates (REU), which—in addition to working in a lab—included hands-on instruction with middle school girls at WPI’s Innovations in Biomedical Engineering (iBME) camp. Donnelly’s time in the Gateway Park Coburn Lab resulted in research titled “Development of an Assay to Evaluate Therapeutic Response of Cells in Multiple Culture Models,” which examined the different ways people perform cancer research on cells. Suzanne Sontgerath, director of Pre-Collegiate Outreach, says Camp Reach tends to have a lasting impact on its attendees. Donnelly is now preparing to return to Trinity College, where she will graduate next year and head to graduate school. “I really think I have a shot at helping people,” she says. “I have a powerful voice." WPI hasn’t seen the last of Donnelly. “I’ll be back, for sure,” she says.